First things first, I’ve never listened to White Lies. I’m told they’re a post-punk band originating from Ealing, and that apparently they’ve done away with the post-punk on this, their fifth album, aptly titled ‘Five’. In a way, I hope this is slightly more objective in that I’m going into this with no real preconceptions. Here goes. ‘Five’, sees the band ultimately conflicted and confused, attempting to cultivate a synthpop style whilst staying friendly and commercial. This is an album influenced by the 80s, with many of the tracks on the album synth-driven, yet it’s uncertain what exactly the influences are. It seems like more of an aesthetic shift rather than anything substantial. Take, for example, the first track – and lead single – ‘Time to Give’. It starts off as a dreamy synthpop track vaguely reminiscent of Franz Ferdinand’s Always Ascending. The intro segues with a jaunty, spiky synth rhythm that subsides quickly. Despite a promising intro, however, it is evident that White Lies have no real idea what they want to do with the track. It becomes more repetitive and lacking in ideas as it goes on. A nice mini-breakdown around the two-minute mark gives the track a little more depth, with guitars giving some weight to the hollow synth, but on the whole, the song seems to run out of steam way before it ends, perhaps a victim of its seven-minute length. ‘Never Alone’ continues the 80s inspiration, with the spiky bass making the song seem slightly Depeche Mode at first, but it becomes clear that this is where the similarity ends – White Lies just aren’t inventive enough to hold a candle to their mastery. It’s a frustrating listen because you sense that the band clearly have some interesting ideas, but they are forsaken for the sake of a big, stadium friendly formula. A verse on this album always leads into a ‘big’ chorus. It’s lazy, predictable and a pattern throughout the album. Songs such as ‘Kick Me’, ‘Denial’ and ‘Jo’ start out interesting and more original, but quickly become consumed in a desire to engineer a ‘banger’. It just doesn’t work; virtually every single song on this album starts off trying to create a jaunty synthpop sound, only to be ruined by the pull back towards the formula. Matters are not helped by the fact that the verses seem to swim in a sea of ideas, each competing for equal airtime, resulting in an inconsistent sound within each song. ‘Tokyo’, the second single from the album, is at least consistent, with a brooding atmosphere, but again suffers from unoriginality in structure. Arguably the best song on the album is the closer, ‘Fire and Wings’, bringing to the table faraway, languid, grunge-y sound. Again, the leap to a big chorus stunts the development of the song, but there’s at least an attempt to do something different. Vocally, the album suffers from an inability to adapt to the varying tones of the songs. Lead singer Harry McVeigh isn’t a bad singer, but his delivery could do with being subtler and understated at tines. These are clearly songs designed for singing live when people are drunk enough not to care – and perhaps it’ll do the job in that setting, but his vocals grate a little bit. There’s no real difference. He could be singing over a two completely different songs and I don’t think I’d notice a difference in his voice. This is not a fantastic listen. It’s derivative even when it tries to expand beyond a by-numbers, landfill indie rock palette. But the most disappointing thing about this album is the fact that there are ideas scattered across the album that aren’t given the chance to develop because of this insatiable desire to provide a friendly hook, a big chorus, a song to chant. It’s insincere and belittles the listener. I mentioned the spiky, jaunty synth rhythm that emerges towards the beginning of ‘Time to Give’. Building the chorus around that rhythm would have been slightly leftfield – for this band, anyway, but it didn’t happen. This album is about 42 minutes in length. If you’re looking for a good synth-pop album, it’s worth sparing two extra minutes on ‘Chris’ by Christine and the Queens. If you want good indie rock, look at Courtney Barnett’s ‘Tell Me How You Really Feel’; it’s 37 minutes long. You can then spend the other five minutes listening to something other than this. 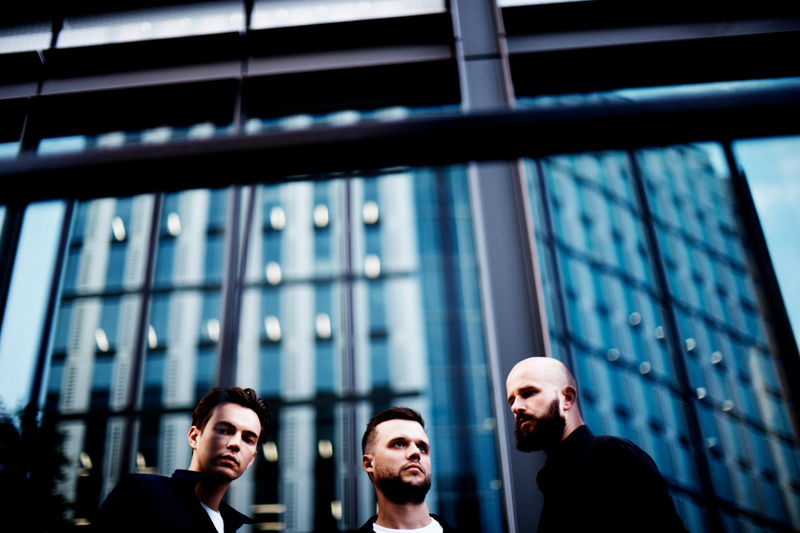 ‘Five’ is released on Friday 1st February 2019, and White Lies are on tour starting this week, with tickets available through the band’s website.